Do you love working with animals and people? Put your skills and experience to work at PETS! We are always looking for compassionate pet professionals to join our team. For more information about open positions, please contact Steven Hoeltzel, Practice Manager at (717) 295-7387 or send an email to shoeltzel@lancasterpetemergency.com. Pet Emergency Treatment and Specialties is currently seeking Emergency Clinicians and/or Board Certified Criticalists to join our well established emergency and multiple discipline referral practice. Our 15,000sq. ft. state-of-the-art facility is fully staffed with well-trained, dedicated nurses at a ratio of 4 or 5 nurses per doctor. Our modern facility is fully equipment with digital radiography and ultrasonography from Sound, flexible and rigid endoscopy, laparoscopy, Lyons critical care kennels and a full in house laboratory offering hematology, blood gases, coagulation and chemistry. Our hospital is committed to continued growth for all departments, and we have created a CT ready space in our recent renovation. Our emergency service is currently operating 24/7/365 and is supported by a strong referral base covering several counties and 9 specialty veterinarians. 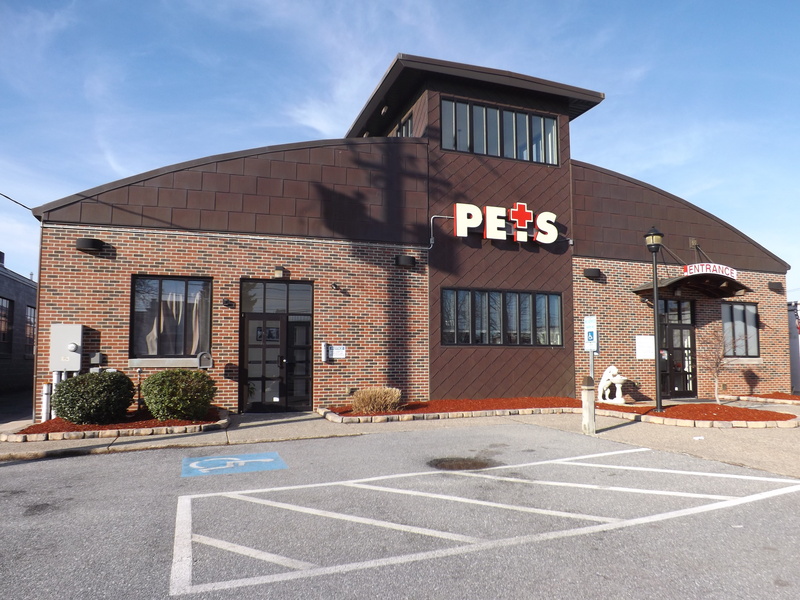 PETS is the oldest and fastest growing emergency and referral center in Central, Pennsylvania. Please contact Steve Hoeltzel, Practice Manager, at (717) 295-7387 or shoeltzel@lancasterpetemergency.com. Pet Emergency Treatment and Specialties Inc. is the oldest, independently owned emergency and specialty hospital in Central Pennsylvania. We are currently looking for a Board Certified Internist to join our growing team. At PETS, we focus on superior customer service and medical care for our patients and clients. We had a steady and growing referral base from Lancaster, Berks, York, Cumberland, Dauphin and Lebanon Counties in south central Pennsylvania. Our internal medicine department is fully staffed with well-trained, dedicated nurses at a ratio or 3 or 4 nurses per doctor along with inpatient and overnight support allowing for no on-call times for the specialists. Our modern facility is fully equipment with digital radiography and ultrasonography, flexible and rigid endoscopy, laparoscopy, and a full in house laboratory offering hematology, blood gases, coagulation and chemistry. Our hospital is committed to continued growth for all departments, and we have created a CT ready space in our recent renovation once the proper candidate is in place. We offer a generous compensation and benefits package including superior wages and steady growth potential (our internal medicine department generated in excess of $1.8 million), vacation and complete benefits package and an upbeat, fast paced working environment. Our emergency service is expanding to 24/7/365 to allow our specialists the opportunity to enjoy a greater work/life balance while still maintaining superior patient care. Lancaster County, Pennsylvania offers a combination of open spaces, thriving metropolitan areas, extensive arts communities and suburban living opportunities. Lancaster County is located within a short drive to many major metropolitan and relaxing vacations areas including New York City, Baltimore, Philadelphia and the eastern shore communities of Delaware, New Jersey and New York. Come find out way Lancaster has been named one of the best places to live by US News and World Reports.